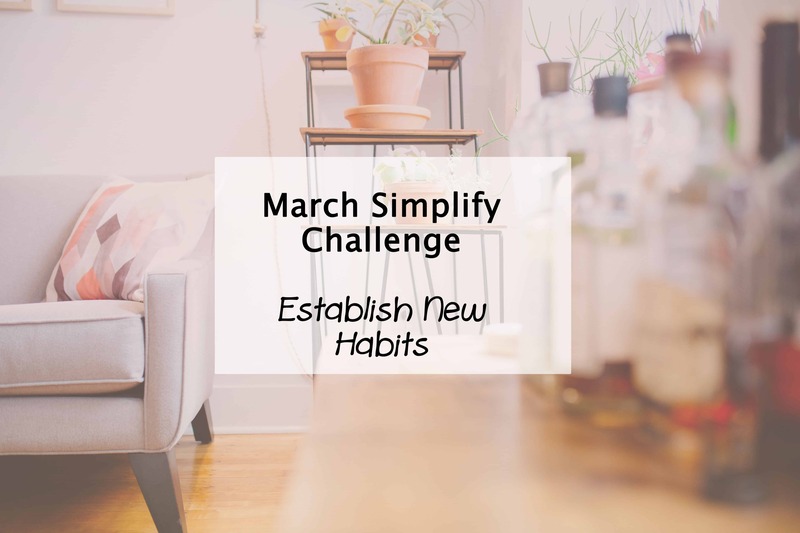 We have hit the 3rd month of the Simplify My Life challenge, tackling clutter, organisation & managing our time. Now it’s time to start building those goals and methods into established habits. By establishing routines and habits in our life, we are taking away some of the chaos with that end goal of simplifying. While we need to leave room for spontaneity and the unexpected, having a routine can make life flow much easier. These routines may be very structured, such as putting a cleaning schedule in place, exercising for 45 minutes first thing every morning or meal planning. Or they can be more habit based, such as tidying the kitchen before bed every night, reading for 10 minutes to wind down or writing in a journal every day. The types of routines or habits we establish depend on us as individuals, and on the goals we have in mind, however what they do is take away some of the disorganisation that life can throw at us. This means less stress, more productivity and on the path to a simplified life. TASK – Take 10 minutes to consider and write down the routines and habits you have already established in your life. Then also consider what new habits and routines you want to establish in order for you to simplify your life. You may be surprised exactly how many or how few you already have in place. Most of us have quite a lot that we never considered before, so this task is also about identifying the habits that are not useful to us and adapting to new ones. I would love to hear about the routines and habits you already have or the ones you plan on establishing, so please share in the comments. Can I join it now? Hope it’s not too late!